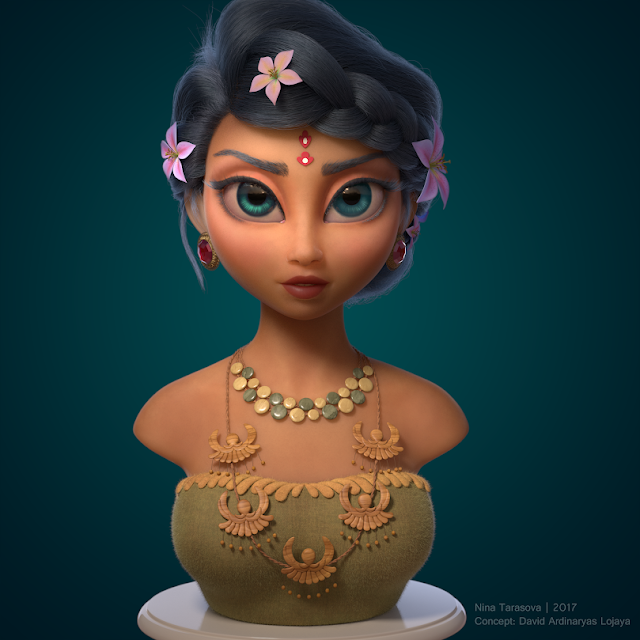 Today we have an interview with AnimSchool student, Nina Tarasova. Welcome Nina, could you tell us a little bit about yourself, your education and which class you’re currently in? And also if you are in an animation or modeling program or track? I come from Belarus, but currently live in the London area, UK. My path to 3D was not straightforward. It took me a while to figure out what I want to do in life and also gain confidence to pursue a career in the animation industry. So I can’t say my dream has always been to become an artist. When I was a kid I loved drawing and my best friend at that time encouraged me to start taking classes with her at an artist’s studio, where I learned drawing and painting. At high school the subjects became more difficult and homework more time-consuming so I didn’t have much time left to practice art and quit. I chose to study literature and languages at university because it is my family’s tradition and it was a good education to get a secure job in my home country. When I was in my third year I was lucky to win a scolarship from the German Academic Exchange Service and went to study to Germany. This was the turnover point in my life. I was far away from home in the new culture, met a lot of new people. My boyfriend who was completely on the tech side introduced me to 3D. I installed the student version of Maya and started learning it in my free time, first just watching videos on youtube and following some book tutorials. It was not an efficient way of learning, I wouldn’t do it again and wouldn’t recommend it to people who don’t have prior experience at all! 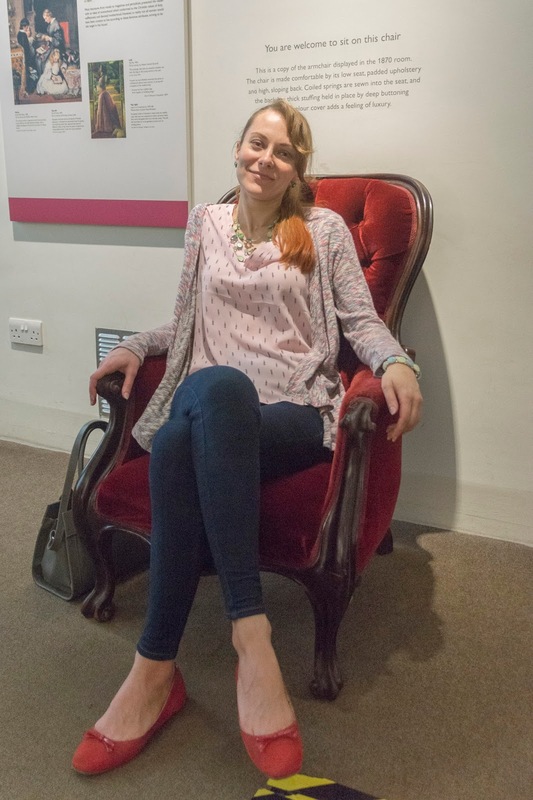 After the graduation I moved to the UK, where I’m currently working as an office administrator assistant. I think moving to London motivated me to start pursuing a career in the animation industry. I finally realized how close the studios are, you just need to get your foot in the door. I remember I saw once the amazing entries for the Autodesk student award competition and was so impressed by the students’ work! It inspired me to work harder to achieve their level one day. I signed up to digital-tutors and noticed how quickly I started to progress! In my opinion it’s extremely important to have well-structured lessons and good explanation when you start learning something completely new! When I was confident with the software and was at a point to start working on my portfolio I came across AnimSchool’s website and decided to give it a try. 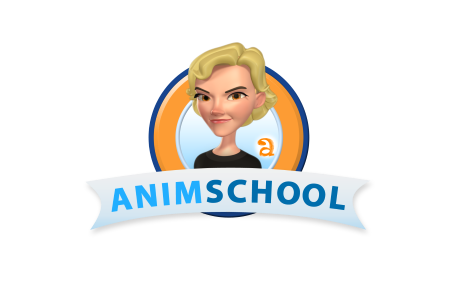 So here I am now at AnimSchool in the modeling/rigging program. I joined a year ago and have just finished my 4th class: Environmental modeling. I think it was the best decision I have made in my life. I couldn’t imagine that AnimSchool would be able to push my skills so far. I met a lot of wonderful people here who are not only great artist, but also amazing instructors, very dedicated and passionate about teaching! Your work is really amazing. How do you prepare yourself for a modeling assignment? Where do you find your artwork? Unfortunately no secret recipe! I just model hour after hour! I spend most of my free time working on the modeling projects. I like to take challenging concepts and most of the time when I choose a concept, I have no idea how I’m going to do it. It’s always difficult to start, but later if you keep pushing yourself something nice will come out for sure. I also don’t stop when things start to look good but keep working on the model… maybe I can make it look even better? There are a lot of places where you can find beautiful artwork, I found the concepts for my projects at DeviantArt and ArtStation, but Pinterest is also great. Thank you for your kind words! Both times I was very surprised when I saw my name among the winners! I didn’t expect that since many artists who took part had a lot more experience than me. The first challenge was very special for me! It was the first time ever independent people recognized the quality of my work regardless of my experience, background and connections. 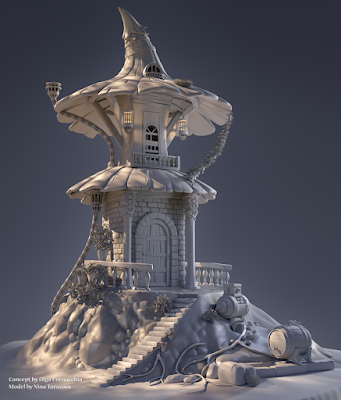 I took part in the RenderMan challenges because I love lighting and they were a great opportunity to practice it and also get my work noticed. Yes, it was a lot of work, many trials and errors, but in my experience if you don’t give up and persist, sooner or later you will achieve the result you want. I think it’s all about your dedication, how hard you want to try to achieve something. Here are some very valuable tips in my opinion: start by experimenting, trying out different ideas, their pros and cons before choosing one. After you have carefully chosen the idea, stick to it and do your best to make it work. Also when working on a bigger project take care of the main things first, overall form, shape and design and don’t go into details too soon. It is super important! This preparatory phase will save you a lot of time in the end and will give you a more successful result. And the last tip: never stop at ‘good enough’, because ‘good enough’ mindset is not good if you want to win. Do the best possible within the given time frame, push yourself to the limits and you might be surprised of what you can accomplish. And don’t get discouraged if you get stuck at some point, in fact I always go through such phase in every challenging project. But if you don’t give up and keep pushing you will create something great! Did these challenges help you with your assignments at AnimSchool? Since I’m learning modeling and rigging at AnimSchool, the rendering skills don’t help me directly to work on my assignments. But they are very useful when I need to do a presentation of my project. I also strive to be a well-rounded artist and have a skillset that makes me standout. It was also a huge motivator to win some great prizes from Pixar! 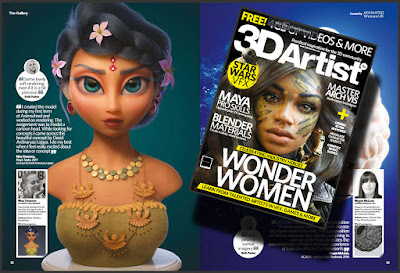 In January 2018 your work got published in 3D Artist magazine, congratulations! How did they find you? They didn’t find me, I found them! I strongly believe we have to take initiative in our hands if we want to achieve something. 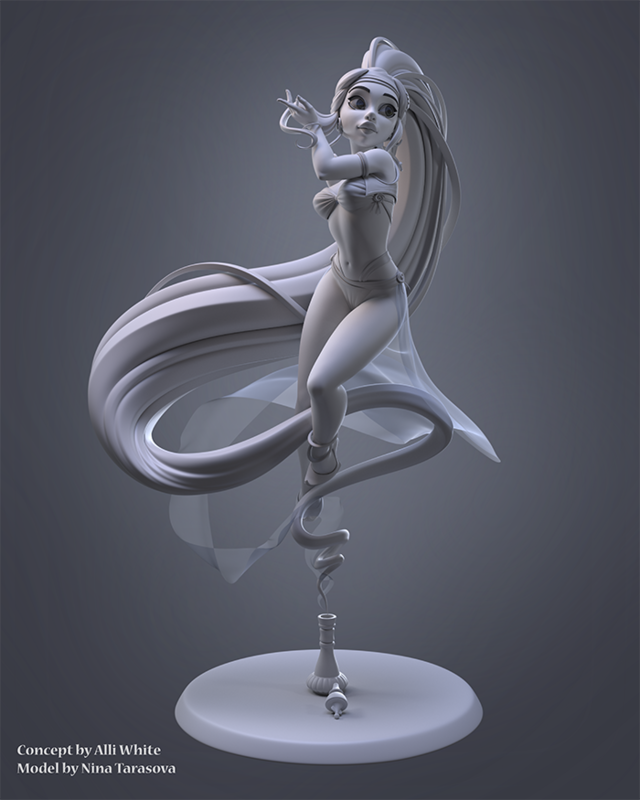 Because I follow 3D Artist on Facebook I saw the post that they wanted to make a gallery dedicated to celebrating women in the animation industry, so anyone could send in their work. I sent the link to my ArtStation and got their reply the same day that I was shortlisted. 2 weeks later they said my work would be featured! The sky seems to be the limit Nina, what more surprises can we expect from you in 2018? What would you like to do once you’ve finished AnimSchool? What are your ambitions? My work King’s Taylor has recently received 3D Total Excellence Award, yay! My main goal for this year is to finish my demo reel and get my foot in the door. I want to keep growing as an artist, try different styles and participate in collaborative projects. I have recently done a small collab with the talented Nikie Monteleone who is a senior Surfacing Artist at HouseSpecial. 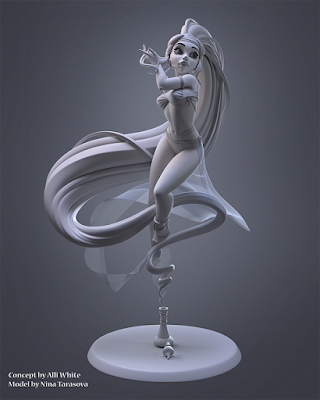 She textured and rendered the Greenie Genie model I did in the Intermediate modeling class with Brien Hindman. 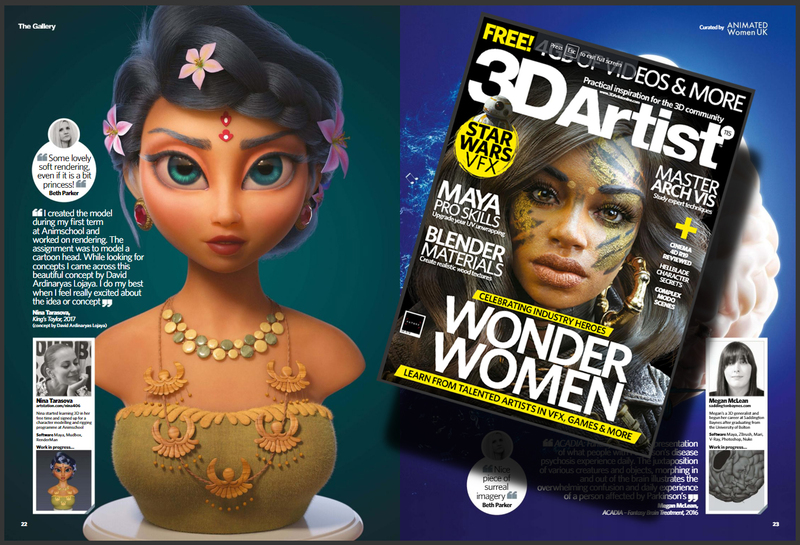 Another great news is our collaboration will be featured in the next issue of 3D Artist magazine! I’ve had a few people ask me how long it will take to become good at it. Can they become good at it at all? Do they have enough talent? It’s always hard to start learning something new. My start was also very hard, but if you overcome the first difficulties, you will see your work improve from day to day and it will motivate you to get better. I think dedication and perseverance are way more important than talent. I actually don’t believe in talent in the sense most people use it. IMO it’s an excuse for lazy people why they can’t become good at sth. But yes, I agree some people have more natural ability than others to certain things, but it doesn’t mean you can’t develop it. I think it’s also important to enjoy the process of learning new skills, not only the final result of your work. What advice can I give to those who just start learning 3D? My other advice: self – learning is great, it requires a huge amount of discipline and self-organization (I started as a self-learner and have enormous respect for such people!) but if you have a chance to go to a good school (good is a key word here!) and get professional feedback as well you will progress so much faster! Another good side of going to school is it will set strict deadlines when you need to deliver your assignments, so no matter what excuses you have, you project needs to be finished by the end of term! And one other super important advice: try to surround yourself with people who believe in you and encourage you on your way! Thank you so much, Nina and good luck! What Makes a Great Game Animator?